Three years ago, Transport for NSW and the State Government introduced the biggest downgrade of a generation to the Sydney Trains timetable. 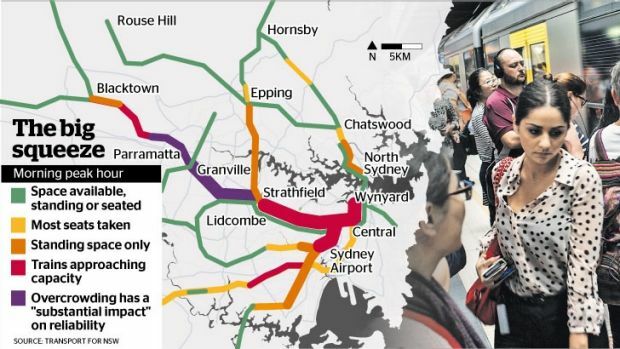 The Inner West Line was cut in half at Homebush station and Liverpool via Regents Park train service removed with Transport for NSW claiming that reliability on the Bankstown, South, Inner West and Western Line would be improved. Transport for NSW acknowledged prior to the 2013 timetable change that the cuts to trains would have significant impact on commuters relying on the Liverpool via Regents Park (Inner West Line) train services. Commuters relying on the Liverpool via Regents Park train now have to make up to three interchanges and experience service gaps of up to half an hour to travel on the Inner West Line. Statistics published by Transport for NSW and Sydney Trains in fact show that reliability on the Bankstown and South Line have fallen since 2013. Overcrowding on the Western Line is worsening with the no plans to restore Liverpool via Regents Park trains to relieve pressure on existing lines. The claims that the shortening of the Inner West Line and removal of Liverpool via Regents Park train will improve reliability has been proven to be untrue. 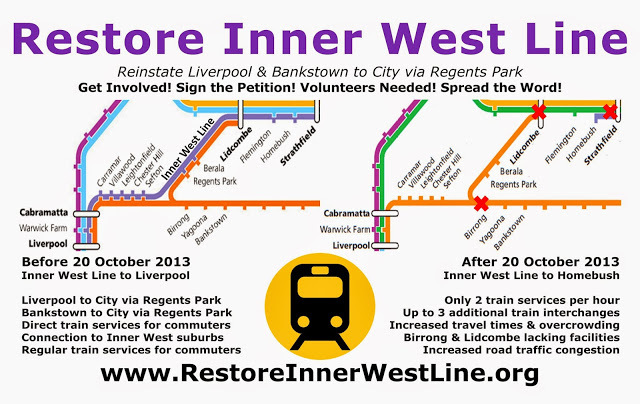 ‘Restore Inner West Line’ calls on Transport for NSW and the State Government to reinstate the Liverpool via Regents Park train service as an urgent priority for Sydney Trains.